Time to make another dinner reservation. 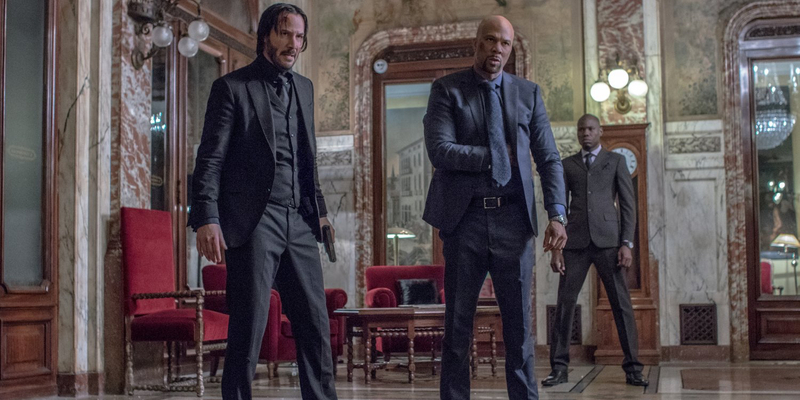 After exacting revenge on the people that brought him out of retirement before, the assassin John Wick (Keanu Reeves) makes another attempt to leave his old life behind. Unfortunately, a contract killer sometimes has contracts and obligations to fulfill. An old acquaintance, Santino D’Antonio (Riccardo Scamarcio) arrives at Wick’s front step demanding Baba Yaga’s services, a binding agreement the two made years ago. Having no choice but to comply, John goes back into the criminal underworld as a hunter to take out Santino’s target. But in the criminal underworld, no matter the carried-out fulfillments, the hunter can quite easily become the hunted. What is the biggest takeaway yours truly has after watching John Wick: Chapter 2? If there were a hypothetical battle royale deathmatch featuring the preeminent action film characters over the last 15 years or so that I had to bet my life on, I’d take John Wick every day of the week, and not think twice about it. Sorry James Bond, Jason Bourne, Ethan Hunt, Robert McCall, and Bryan Mills, but John is a man of focus…sheer will…and determination that surpasses you all. OK, done with the hypothetical and into the reality. Or at least the reality that John Wick inhabits. One half of the John Wick co-directors in Chad Stahelski returns to helm the sequel solo. The long takes, impeccable stunt work, precise camera angles ,and stellar action pieces are on on display again, doubled really. The setting of Rome lends itself to amazing cinematography (horror-esque at times) and scale. The music of Tyler Bates and how it adds to the proceedings shouldn’t go unnoticed, either. After a relatively slow-paced first third (mind you, after an explosive 10 minute start), the second John Wick ups the ante on the action front. Set pieces here might be a tad underneath the WHOA level of the Red Circle club scene, but not by much. And the fact that there’s simply more action present pushes the sequel past the first from an action perspective. John Wick’s 2nd chapter is a symphony of violence, and the movie does revel and glorify in it. That doesn’t mean that the carnage isn’t beautiful, but it needs to be noted. Thankfully, the tone seems to recognize this and seems to know when a casual-but-not-wall-breaking wink to the audience is needed. Chapter 2’s script works good from an expansion standpoint, fleshing out the lore that the first installment hinted at. As for an emotional standpoint, Wick’s 2nd outing doesn’t quite resonate like before, driven more by duty than desire. This certainly aids the world and rules that Baba Yaga is a part of, but not the character. In a way, John Wick: Chapter 2 is a victim of John Wick’s surprise out of “nowhere-ness.” Before, John Wick felt vulnerable, and as spectacular as he was, it wasn’t out of the realm of possibility he could die; part of that feeling existed because we didn’t know what the endgame was with the first. Now, with a trilogy all but certain, John’s might as well be Wolverine with adamantium coursing through his veins—at least in Chapter 2. He still takes damage, but he’s gonna survive it. However, the Wick character is still a blast to watch, because of Keanu Reeves. With all apologies to Neo and Ted, this may very well be the role people remember him most for once his career comes to a close. At 52, he hasn’t lost a step, and Wick still plays to his strengths while limiting his deficiencies. Couldn’t see anyone else having the success he’s had in the role. As supporting characters go, most do well. 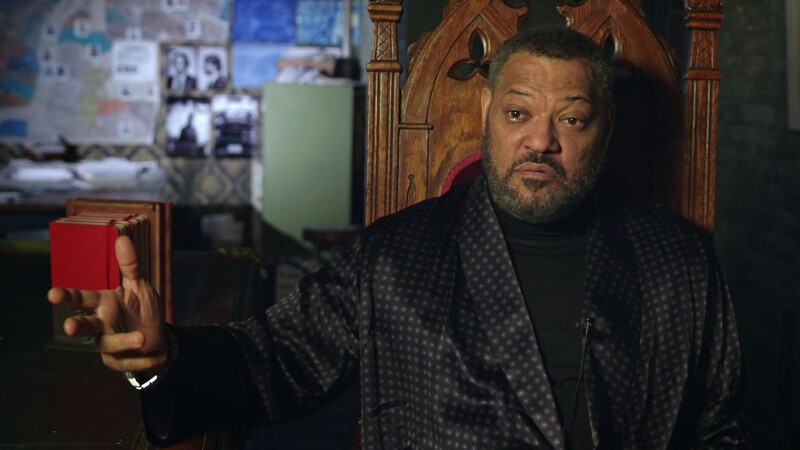 Ian McShane’s returns as the NYC Continental hotel manager with expanded screentime and positioned to be a major future factor, Laurence Fishburne has a nice extended reunion scene with Reeves. Common more than holds his own as an assassin. Then again, it’s a role he has played more than a few times. And Riccardo Scamarcio is one note but relatively effective. Unfortunately, a big misfire is Ruby Rose, who looks more like someone trying to pose as a threat as opposed to being one. All in all though, John Wick: Chapter 2 cements John Wick as not a flash-in-the-pan action character, but a legitimate one that deserves to be mentioned with other iconic characters in the genre. Chapter 3 is coming, and whenever it does, it’ll be on my viewing hitlist. Oh boy, the trailer for this looks awesome! Loved the original; can’t wait for this! Top review mate. Thanks sir! Surprisingly, nothing major is given away. You’ll like this a lot. So many good reviews for this. 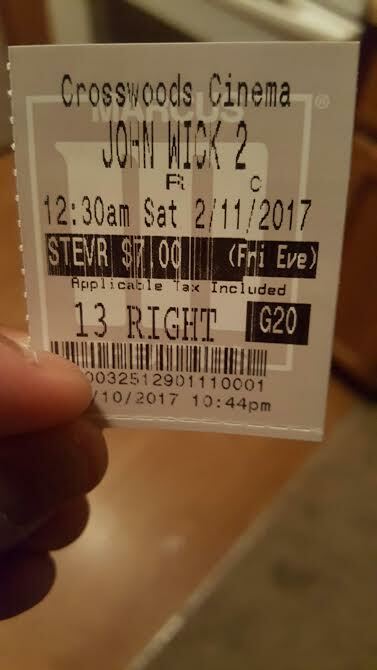 I can’t wait to hit the theater Friday. Good to see Reeves back and in such a fun role.